Exmouth Colts travelled to Brixham for a friendly match and for the second week in succession the Cockles ran out missing several players and were only able to field a team of 14 which was again reduced to 13 with only 10 minutes played. However, despite the lack of players and having to play backs in the pack the scrum was good and defence solid. Both teams were struggling to keep the line out throws straight in the gusty conditions and without any regular 2 row forwards the cockles lineout was predictable and failed to produce any real advantage. 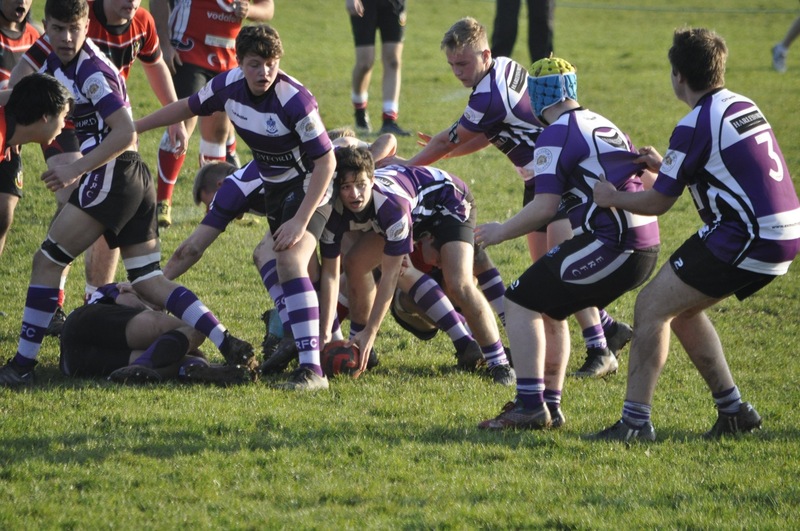 This was a particular disappointment because Brixham were providing plenty of opportunities through indiscipline particularly in the first half. Exmouth knew this was going to be a challenge as Brixham are lying 2nd in the division above Exmouth however there is a big improvement since the start of the season and the Cockles spirits and determination was maintained throughout the match which finished 41 – 0. Exmouth have to wait until 22 Dec for their next league match, but host Exeter Saracens at 7pm Friday 7 Dec for a friendly under floodlights.